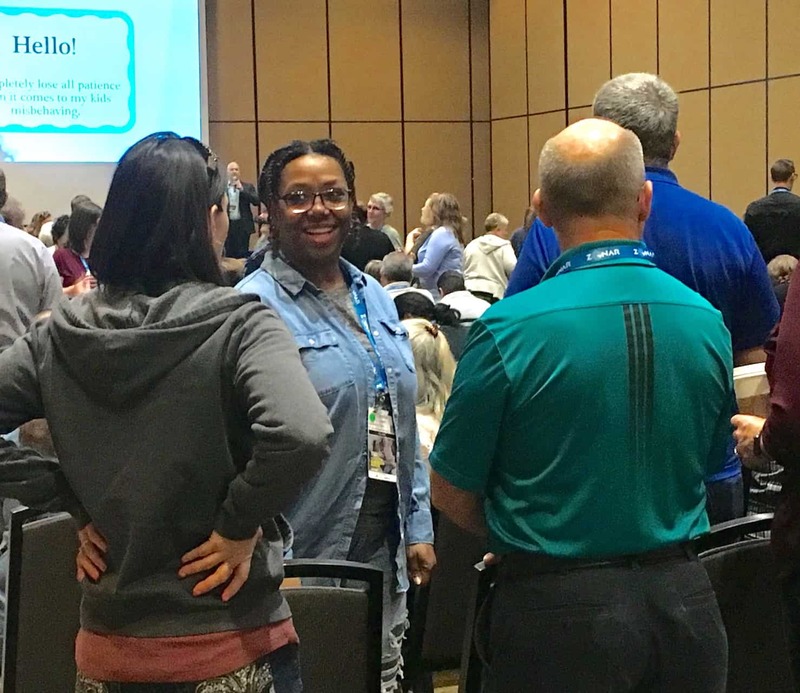 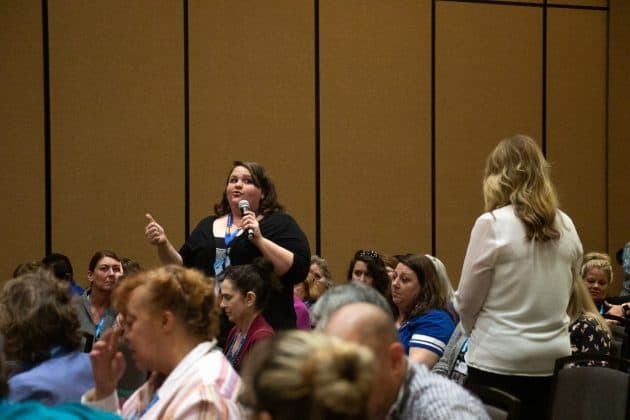 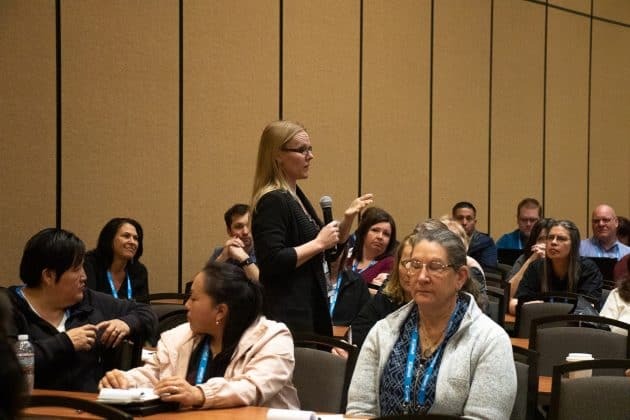 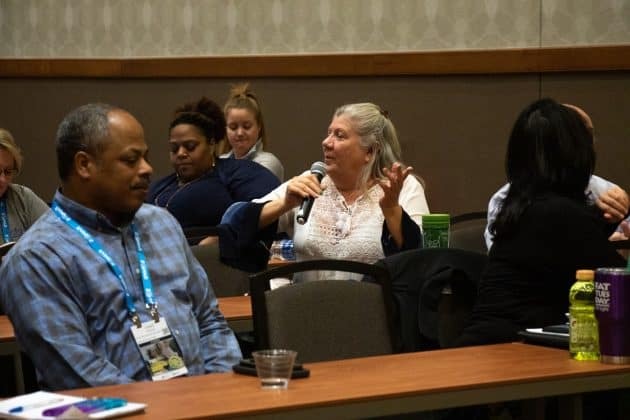 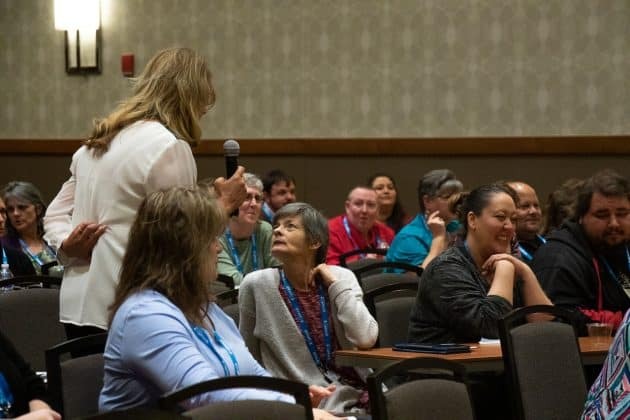 Launie Harden, director of transportation for Washington County School District in Utah, encouraged open dialogue during her workshop on students who are too unsafe to transport. 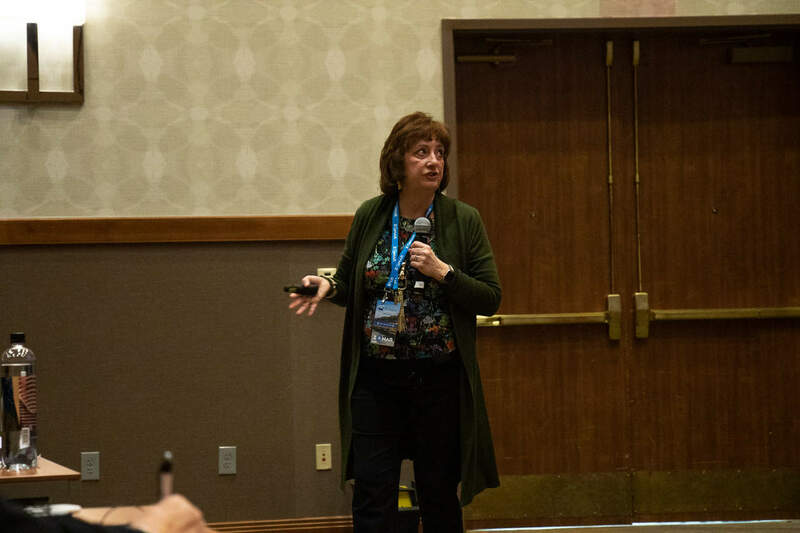 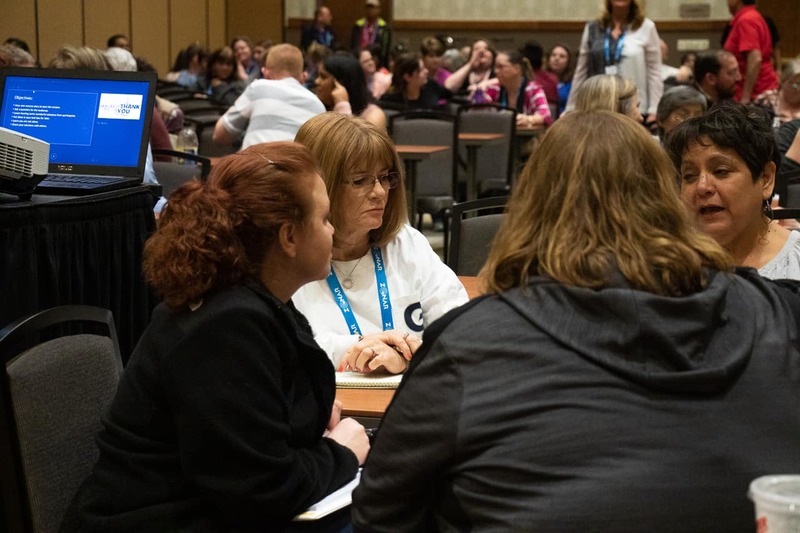 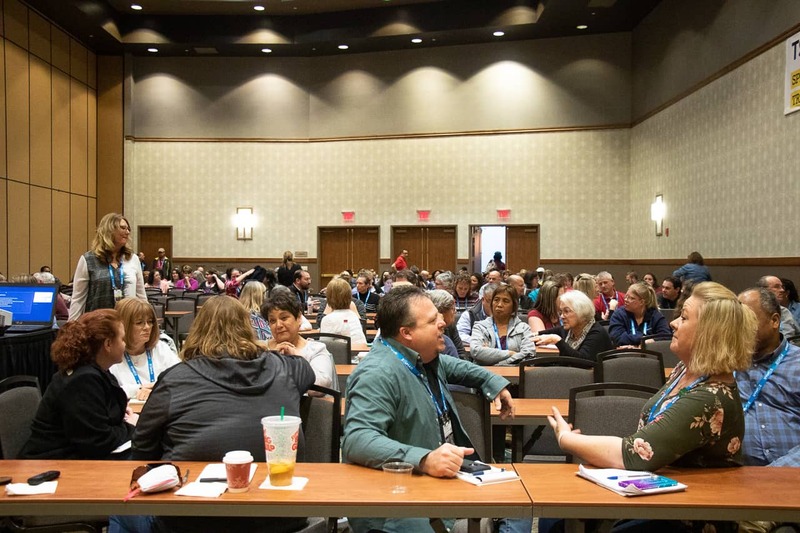 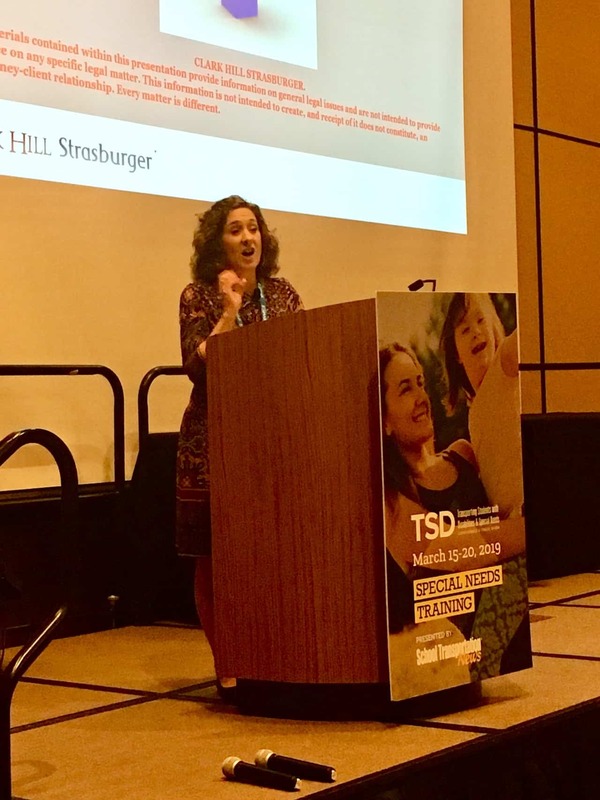 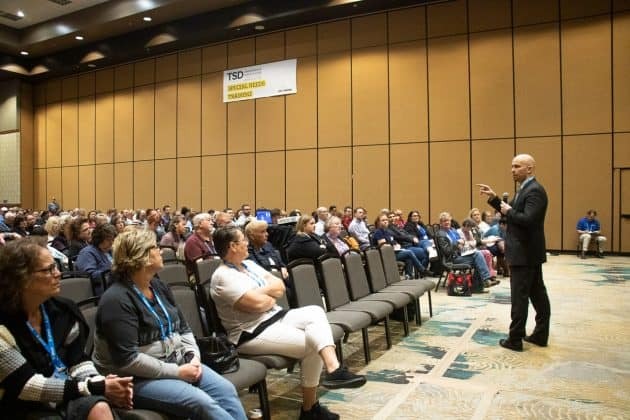 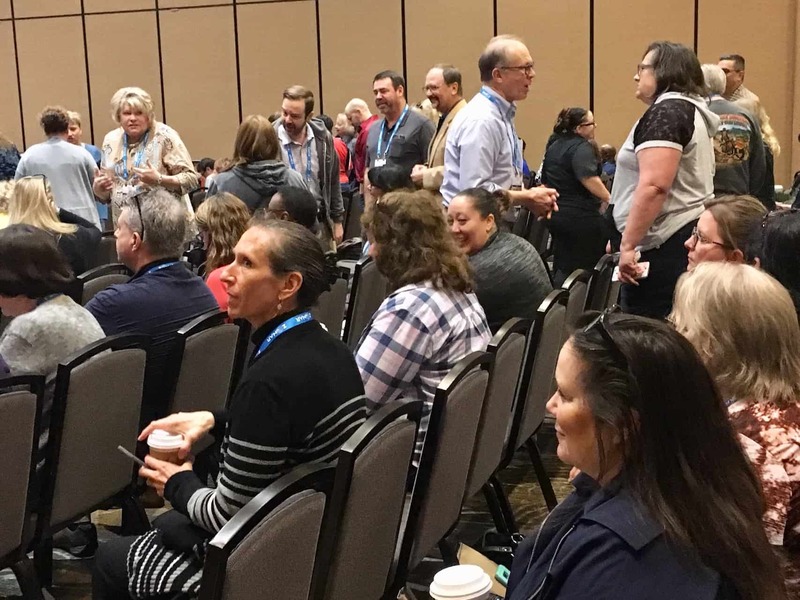 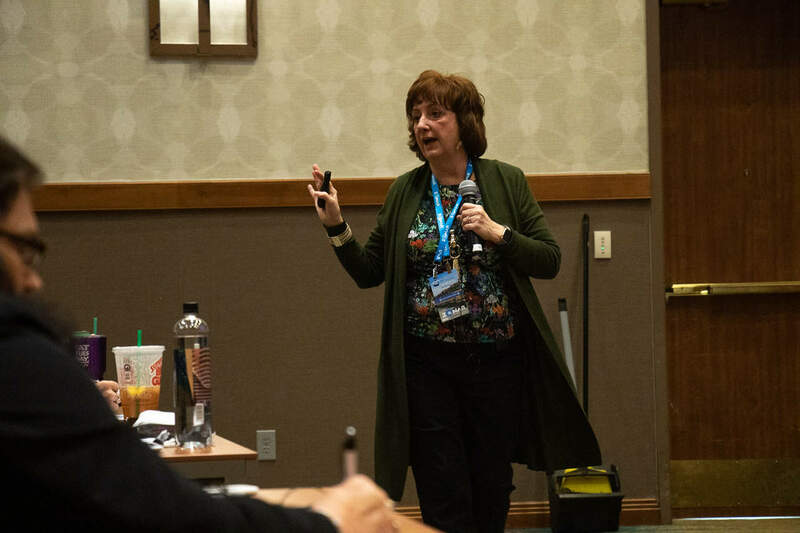 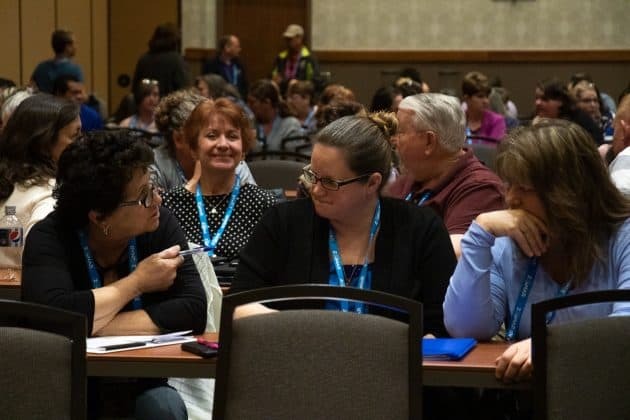 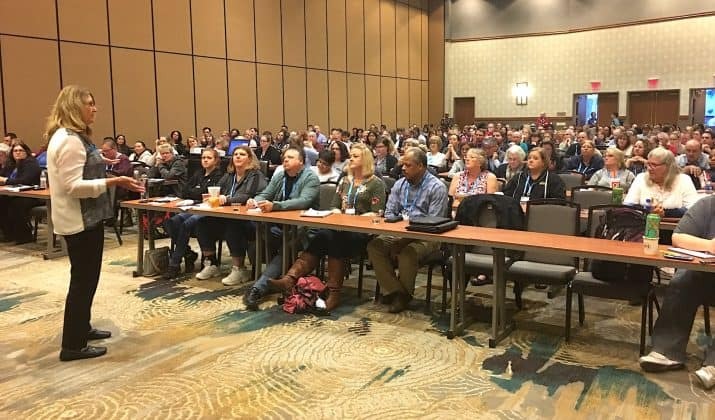 FRISCO, Texas — The last full day of training at the 2019 TSD Conference concluded on Tuesday, March 19, with tears, rousing applause and learning. 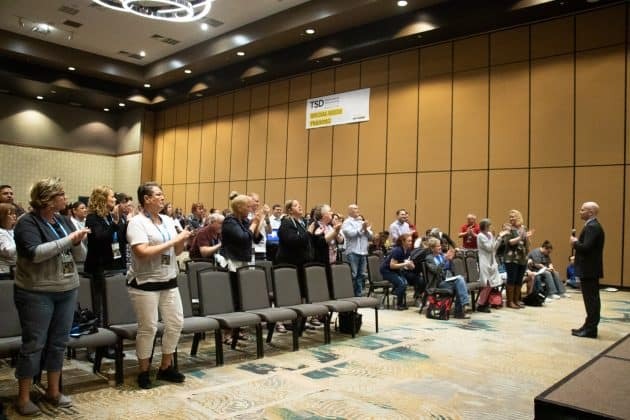 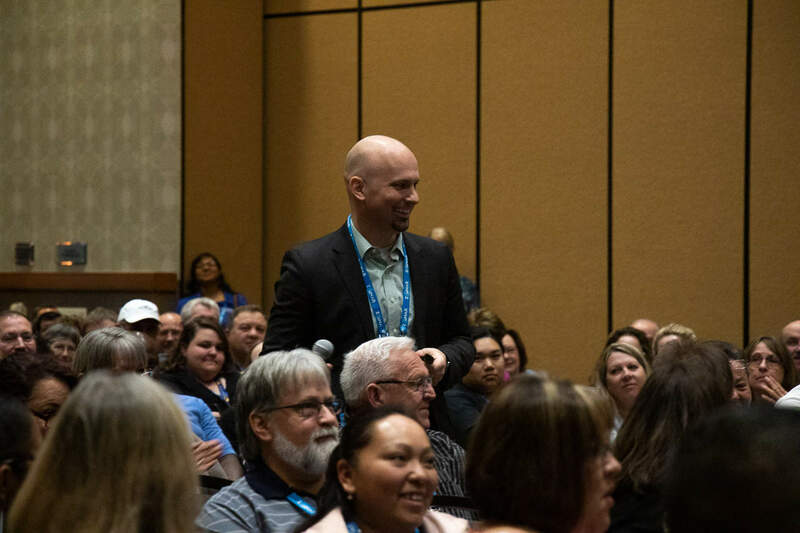 Keynote speaker and certified behavior expert Patrick Mulick received a standing ovation at his presentation that reminded attendees why they transport students with disabilities. 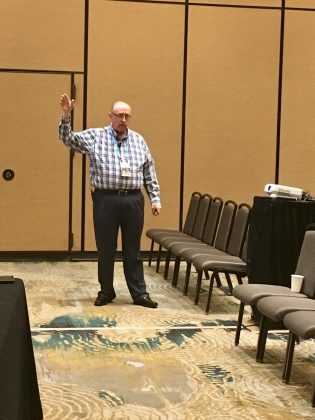 His other session provided hands-on approaches to determining if student behavior is a result of their disability, and how to keep the bus safe for them and others. 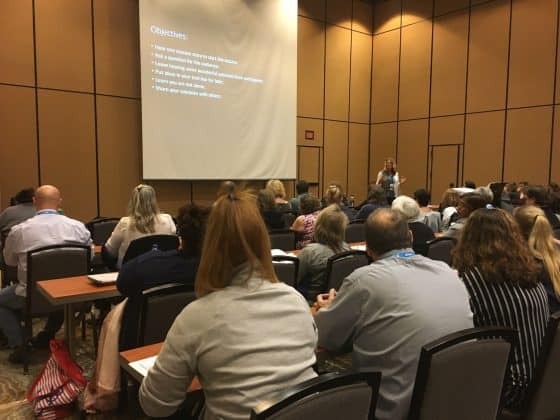 Mulick’s afternoon session was on strategies for providing the best possible service to students with autism, and two employment law workshops. 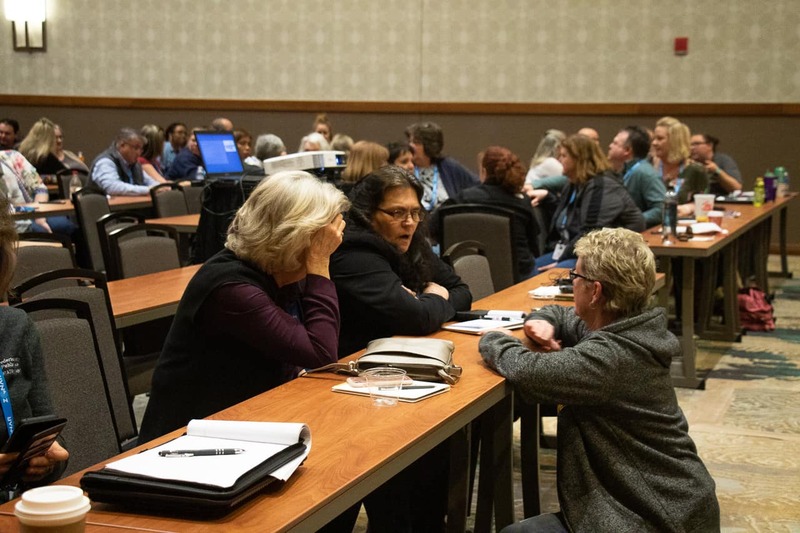 Many conversations ensued, as attendees compared notes and consulted with one another. Patrick Mulick, autism and behavior specialist for Auburn School District in Washington state, gave a sympathetic presentation on how we view students with disabilities. 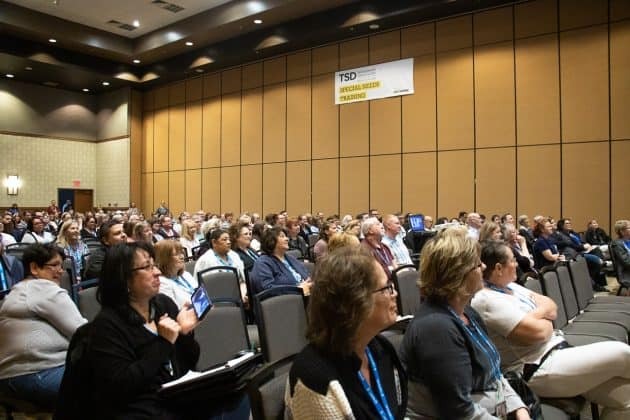 Patrick Mulick speaking at the TSD 2019 Conference. 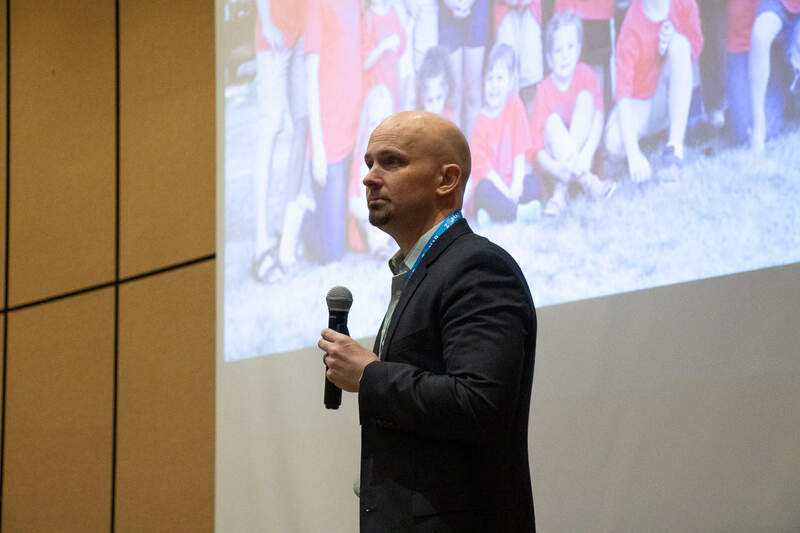 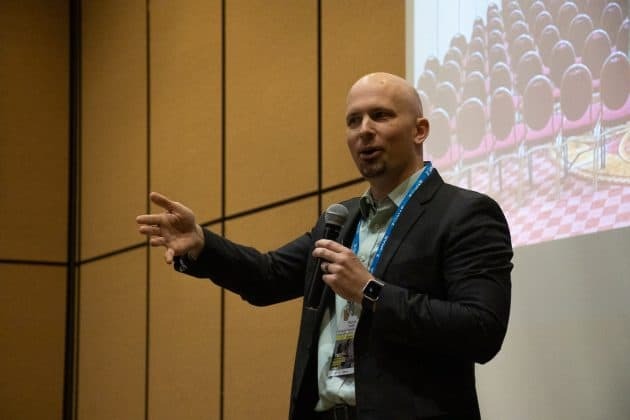 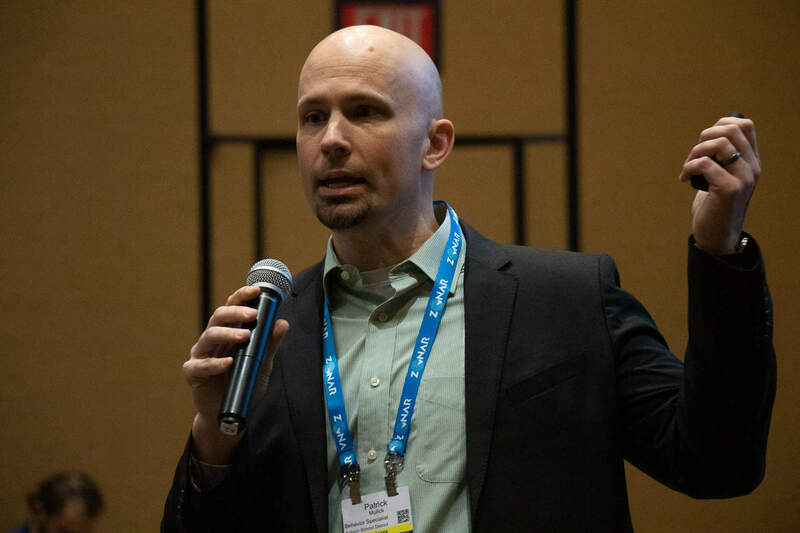 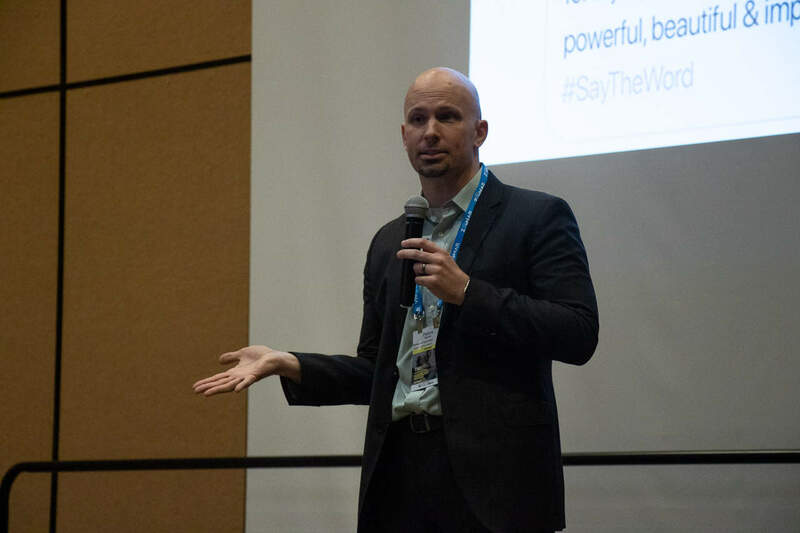 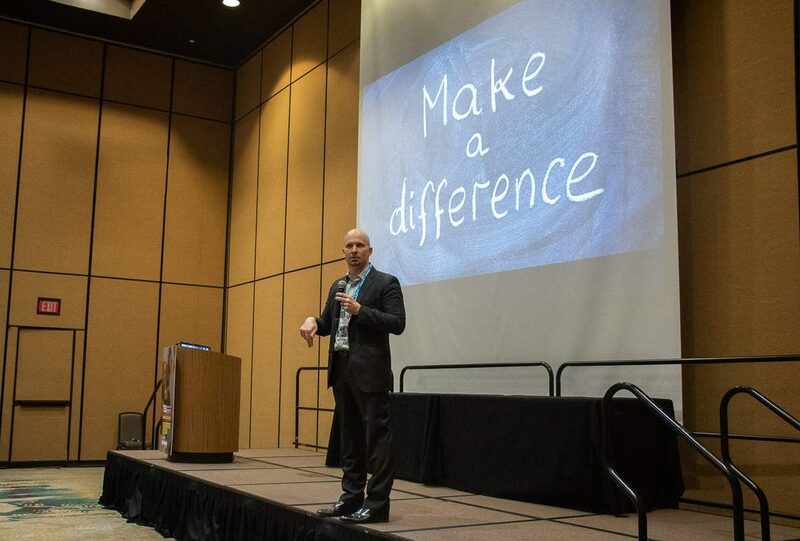 Patrick Mulick, autism and behavior specialist for Auburn School District in Washington state, presented a heartwarming message to TSD Conference attendees on March 19, 2019. 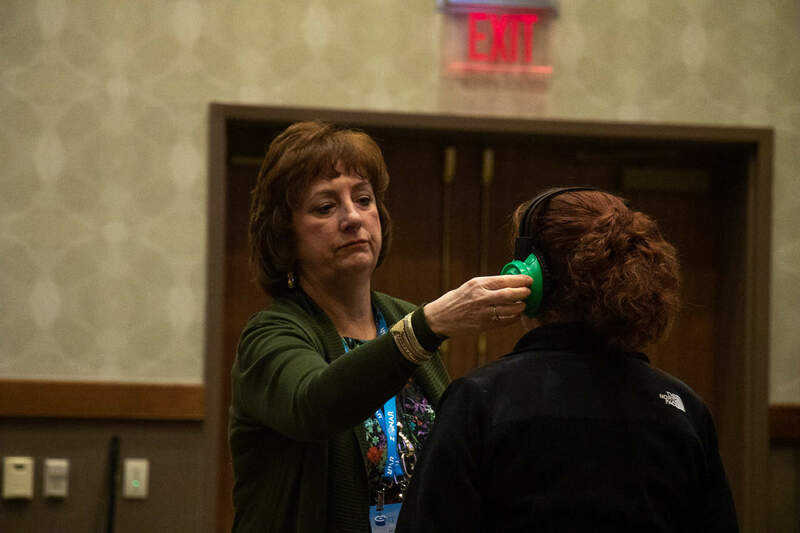 Sue Shutrump, supervisor of OT/PT for Trumbull County Educational Services Center in Ohio, used a hands-on approach during her workshop on Sensory or Behavior. Shutrump showed an example of a child who could have a hearing deficit during her workshop on March 19, 2019. 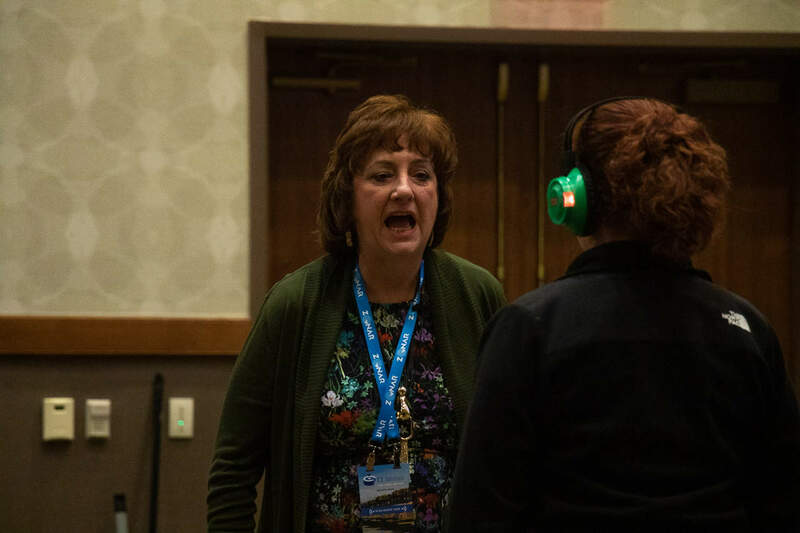 She had a volunteer wear headphones with the noise in the background and repeat a saying back to her. 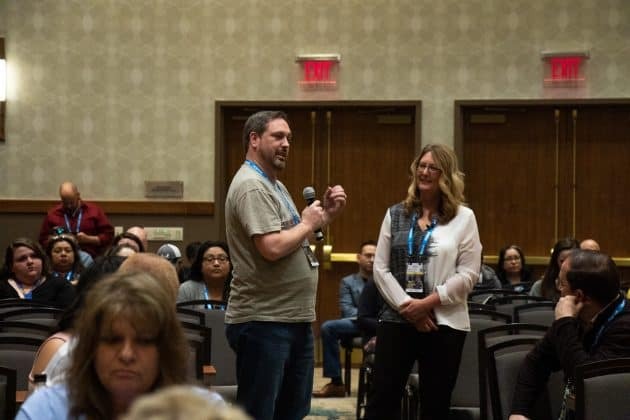 The volunteer was unable to understand what Shutrump was asking her to do.